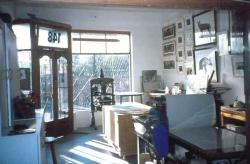 Hard Ground Printmakers Workshop was an established printmaking workshop situated in Cape Town, South Africa. 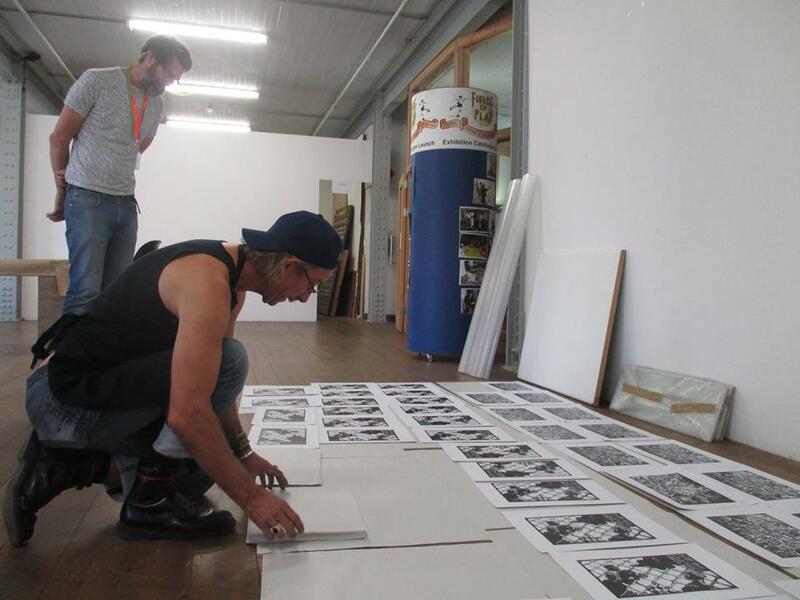 The workshop was established in 1989 by artist/print-maker, Jonathan Comerford to provide professional printmaking facilities for the independent artist and to promote printmaking in the Western Cape, circa 1989 - 2006, now in London from 2012. 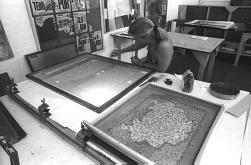 The workshop philosophy is to promote the tradition of printmaking, professional practise and diversity. Jonathan Comerford studied at the Ruth Prowse School of Art, majoring in printmaking and drawing. On completion of his studies, he spent two years abroad furthering his printmaking career at Peacock Printmakers in Aberdeen, Scotland. 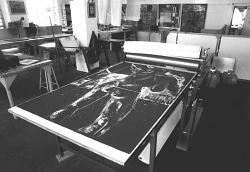 He returned to South Africa to establish a printmaking workshop in 1988, when the apartheid regime was still in place. The purpose of the workshop was to enable the artists from diverse communities to exchange ideas, information, and technical knowledge and have access to an equipped printmaking studio. 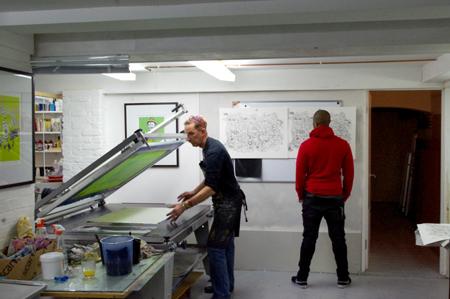 The studio was named Hard Ground, as a comment on the then status where most printmaking presses were situated in educational institutions or in private studios and inaccessible to most independent black or white artists, thereby breaking new ground. Comerford commissioned the construction of the largest etching press (at the time) in Southern Africa and gave this prototype the moniker, The Rooi Gevaar* (The Red Threat). Having created and equipped a studio, the task of establishing the idea of a collaborative printmaking studio was like planting a seed in hard ground. The continued existence of the workshop till 2006 bears testimony to the resilience and endurance of the artist committed to this task. It is therefore suitable to view the naming of the studio also in terms of a primary acid-resistant etching medium, Hard Ground. Hard Ground Printmakers is unique in that professional artist, Jonathan Comerford does all the printing for the studio. 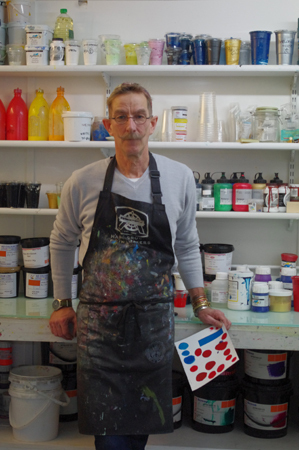 This accomplished print-maker publishes his own work, collaborates with artists and facilitates projects. The studio was self-funded through the sale of artworks, professional collaborations, print publications and commissions. This enables Jonathan to continue practising as an artist/print-maker as well as pursue his interest in publishing and working with artists living in both London. UK and Cape Town,SA. Over the years he has collaborated with numerous artists, and participated in producing collective portfolios both nationally and internationally. 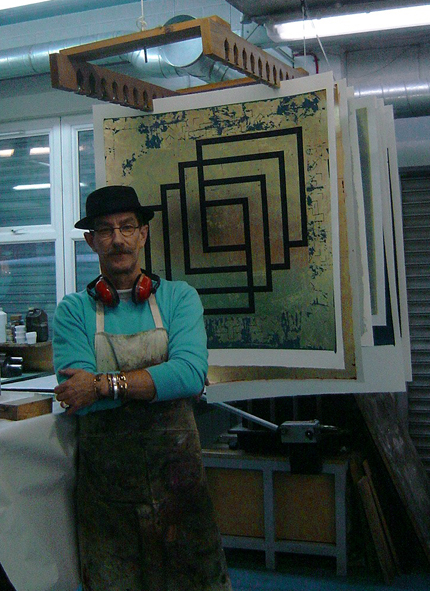 Jonathan moved to London in 2006 to pursue his printmaking career. Jonathan Comerford - Hard ground Printmakers -is now based in London, England, and is available for dedicated collaboration, editioning, portfolio production and print consultation. Contact me for further information via the website. 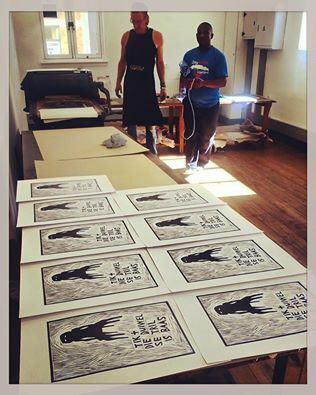 *The name of the studio press Die Rooi Gevaar was reference to the states paranoia of a communist threat to South Africa to justify the Apartheid regime as was the press to the then art establishment / institutions in Cape Town which maintained exclusion.